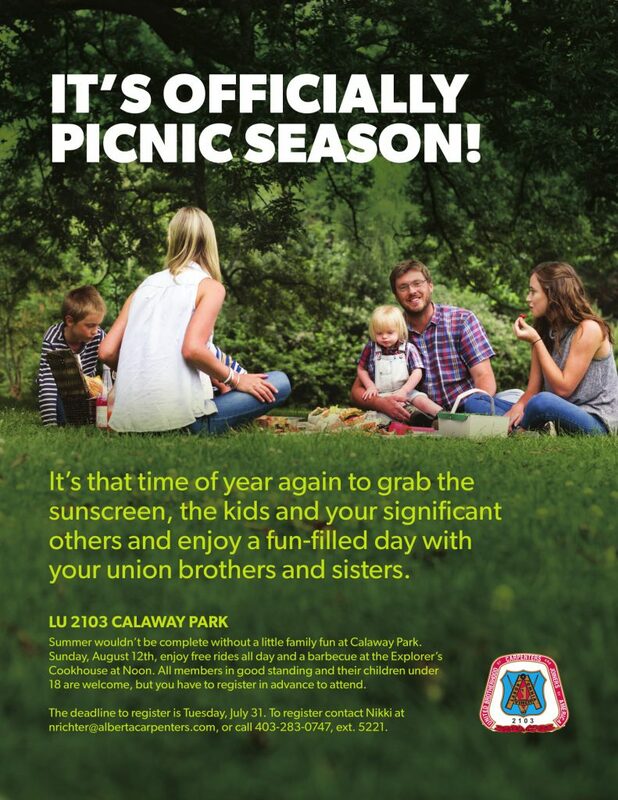 Local 2103 and Local 1325 Family Picnics set for Sunday, August 12th – Register your family today! Please remember to call us to get on the list – we need exact numbers! Thanks in advance. Register yourself and immediate family members for a day at Fort Edmonton Park – complete with BBQ, prizes, carnival rides & Etown History. Hit us up at 780.471.3200 to register before August 3rd! Summer wouldn’t be complete without a little family fun at Calaway Park. Sunday, August 12th, enjoy free rides all day and a barbecue at the Explorer’s Cookhouse at Noon. All members in good standing and their children under 18 are welcome, but you have to register in advance to attend. Register for the Calgary family fun day at 403.283.0747, also by August 3rd.